York is a wonderful historic city to visit in the UK. There are plenty of things to do on a visit to York. As it’s important to make travel accessible for everyone, no matter what your budget, here are the best free things you can do in York. Plus a few other things you can see and do if you’re travelling on a budget but still want the awesome York experience. 2 Want to Save Money? 2.1 Should you Buy the York Pass? 4 Where to Stay in York? Well, I’m starting with all the free things to do in York, because who doesn’t love a freebie! York is one of those cities that you can very quickly fall in love with because there’s so much to see and do. 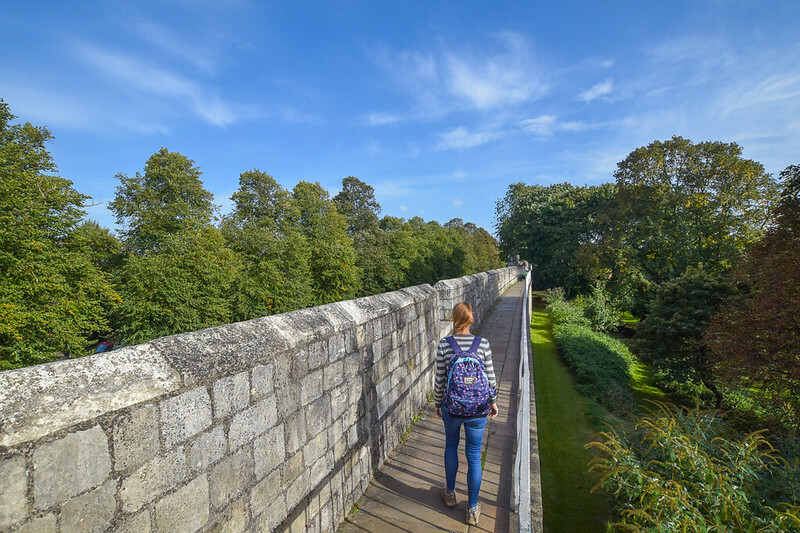 Walking the York walls – for FREE! The walls of York are what drew me to this city 6 years ago. I spent an hour waiting for a train and I walked along the walls instead of sitting around at the station and fell in love with the city. The walls don’t circle the entire city of York but there are still large sections remaining in three large parts. My favourite section was the wall near the York Arts Centre which gives you stunning views of York Minster. You can also walk along the section near the train station (where I previously walked), which also gives you great views of the Minster too. Free walking tours are now popular in many big tourist cities, I’ve done them whilst visiting Berlin, Budapest and even Reykjavik in Iceland. 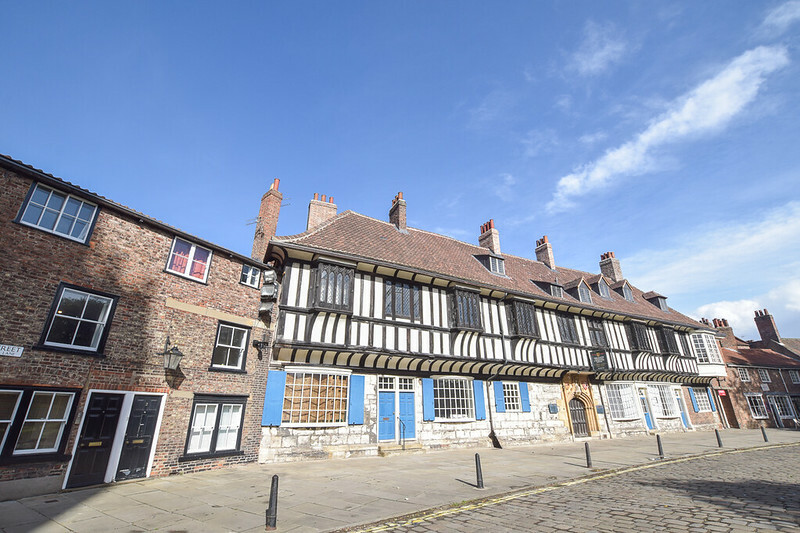 The York free walking tour lasts about 2 hours and starts outside the York City Art Gallery in Exhibition Square and finishes on the famous street The Shambles. The tours run all year round, starting at 10.15 am and 1.15 pm. In peak season, between June to August there is also a night walking tour starting at 6.15 pm. You can find more information here on the free walking tours. 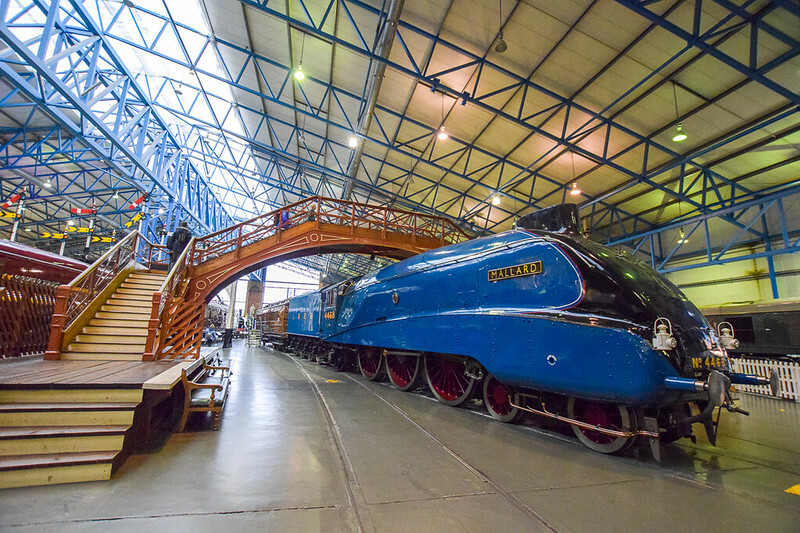 For a train lover, the National Railway Museum was a real highlight for me. The museum is totally free and it’s huge and filled with stunning steam trains, trains and much more. There are also demonstrations throughout the day so be sure to plan your visit with what you’re interested in. The museum is open daily from 10.00 and closes at 17.00 in winter and 18.00 in the summer months. Be sure to check before you visit. The National Railway Museum is away from the city centre. Since you can spend several hours there be sure to take drinks and snacks if you want to keep the costs down. 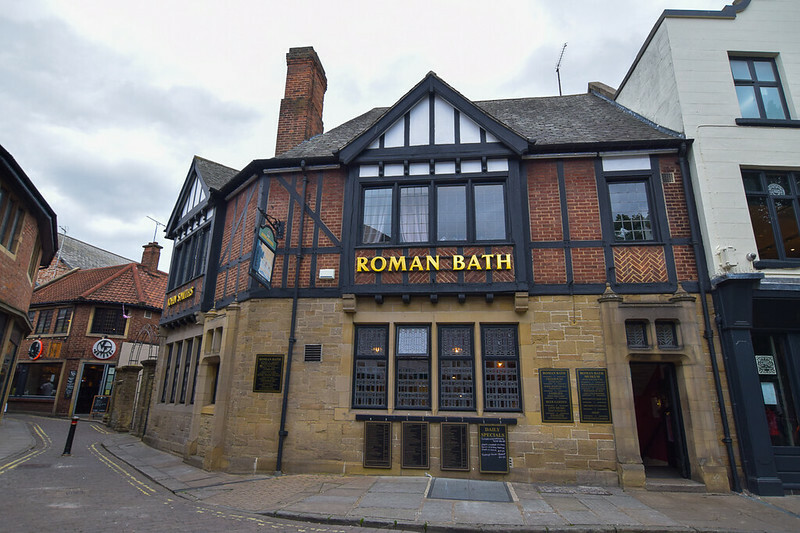 Ye Old Shambles Pub – Beer not free! This wonderfully cute street is a delight to explore, it also gets very busy so be sure to pick your time wisely. It’s perfect for window shopping as there are so many cute shops. This street was the inspiration for Diagon Alley in the Harry Potter films, another reason this street is so popular! Of course, any shopping that you might treat yourself too isn’t free and there are plenty of shops to tempt you to spend. My favourites were, of course, the Harry Potter shops (there are three in total), plus a great tea shop that had every different kind of tea you could imagine plus beautifully decorated teapots, cups and mugs. You can also visit York Market which is next to the Shambles, for cheap food and great deals. For a quieter experience, be sure to visit early in the morning. But it’s also wonderful to walk down at night too when it feels very different with all the shops closed. York is a great city to explore, there are so many streets and alleyways that you can wander and get lost in. I could have literally spent hours walking around the city, finding little shops and doors to new places each time I wandered! York has not one but two rivers, for a free way to enjoy the rivers you can take a lovely walk past the bridges. I loved the section between Low Ousegate and Skeldergate Bridge (pictured above) which finishes very close to Clifford Tower. 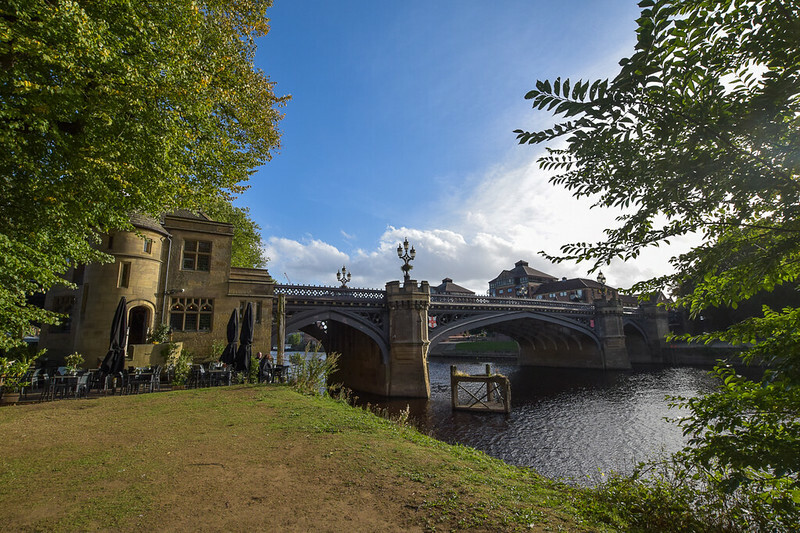 Since the river runs very close to the city centre, it’s a must-do activity on your York trip. Should you Buy the York Pass? Cupcakes not included but buy the York Pass so you have money for treats! So that’s most of the free things you can do in York, although keep reading there are still some options for more free things to see! 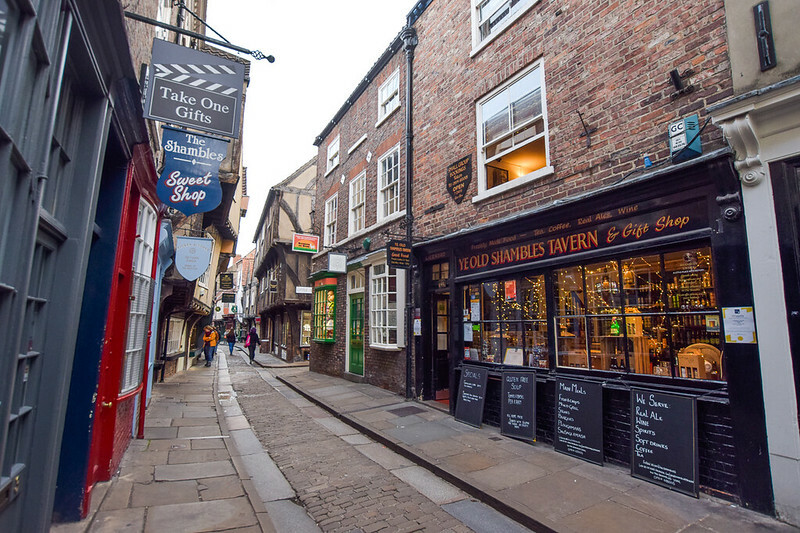 If you are visiting York on a budget then one option to still see everything at a lower cost is to purchase the York Pass. You can buy a 1, 2, 3 or 6-day option. The important thing is to plan what you want to see and then you can decide which York Pass to buy that will save you the most money! Please note that the York Pass also includes other activities away from the city so if you’re interested in a couple of day trips from York then be sure to factor those costs in too. 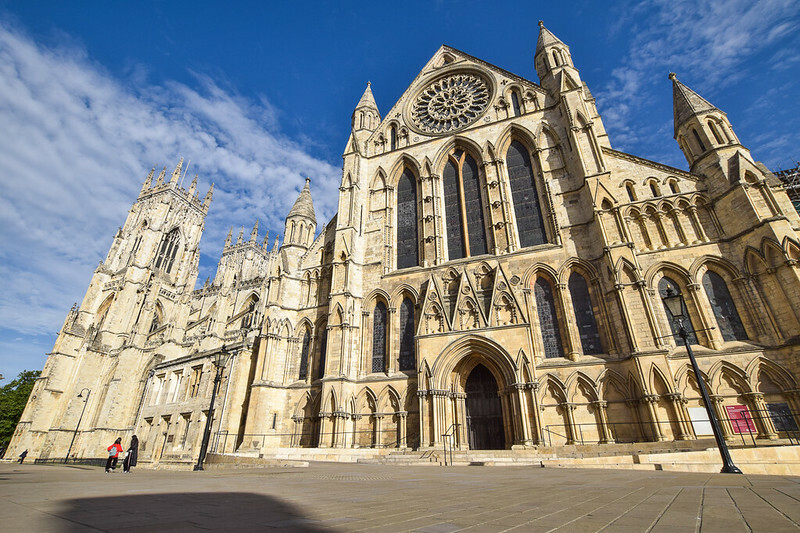 You can read more ideas here for day trips from York which includes the North Yorkshire Moors Railway, National Bird of Prey Centre and Rievaulx Abbey in Hemsley. Read next – Is the York Pass worth it? Will you save money or not? All the below options are not free to enter but if you would like to see them from the outside they are free. I do sometimes think that buildings are beautiful from the outside, especially York Minster, just wow! These things to do are all included in the York Pass so if you take a read and are planning to do at least 3 or 4 of these things then consider the 1-day York Pass and plan your visit around these attractions. York Minster is the largest Gothic Cathedral in Europe and took 250 years to build! York Minster is free to explore from the outside including the gardens around the beautiful building. However, if you would like to see inside you can pay to explore. The York Minster is wonderful inside and those stained glass windows look spectacular. Throughout the day there are various tours that take place within the Minster, check out the signs as you walk into the Minster. What do you need to know about visiting York Minster’s Central Tower? If you want to visit the Central Tower (which I would recommend) you will need to pay extra to do this. There is no lift to the top, if you want to climb to the top then you will need to climb the 275 narrow stone spiral staircase. The stone staircase is pretty much spiral all the way so you might find it makes you slightly dizzy, especially on the walk down. It takes about 10 minutes to climb up to the top. You will need to book a time slot to go up to the Central Tower and will all go up at the same time. It’s not possible for people to overtake on the stair so you will all go to the top, have time to explore, then descend before the next group go up. Please note – on very windy, icy or snowy days the Central Tower may be closed. Be sure to check the weather when you visit to fit in if you can. The York Minster tickets are cheaper if you buy them in advance online. These gardens are beautiful to walk around and free too. For the best view of the house, go up the steps next to the gate on the left. You can also go inside the house too, although I ran out of time on my York visit. 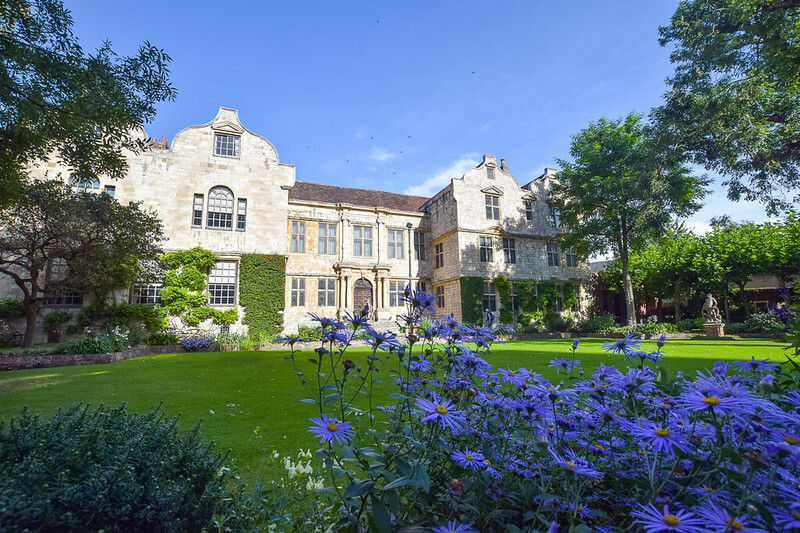 Fun Fact about the Treasurer’s House in York – The House is in the Guinness Book of Records for having the ‘Ghosts of Greatest Longevity’. You can take part in Ghost Towers during your evening visit to York. 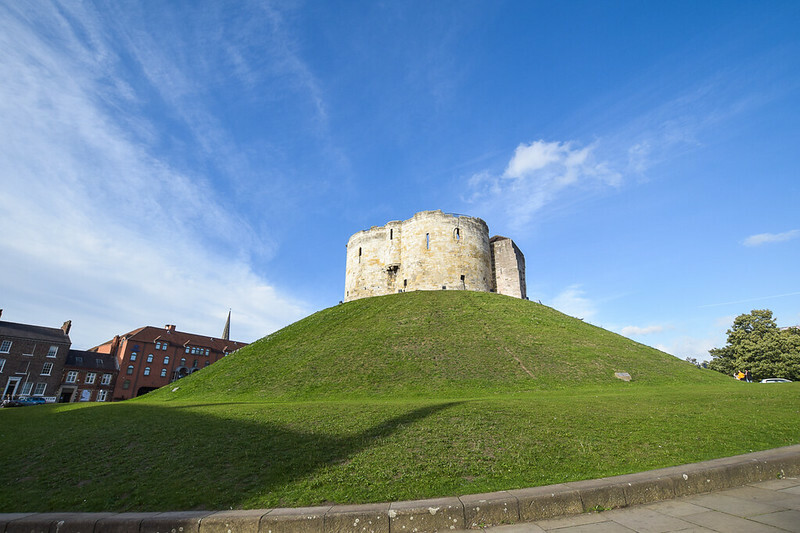 The Clifford’s Tower is great (and free) to explore from the outside, albeit you cannot climb on the grassy verge surrounding the castle. This becomes a huge memorial in early spring and the whole hill is covered in daffodils which I can image looks stunning. 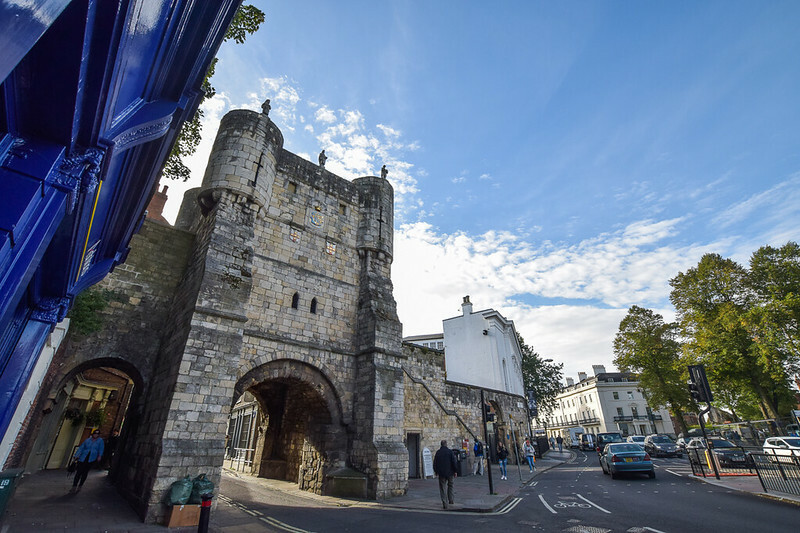 For some awesome views of York city you can climb the steps, then the spiral staircase within the tower to walk along the turret walls and get great views of the city. There’s also a small shop and information inside too. If you haven’t gone up the Central Tower at York Minster this is probably the second best viewpoint of the city. But the York Minster is by far the best view. First, you go into a room where there are old extracts and you walk on a glass floor (which feels a bit strange). Then it’s the main attraction, a 6-seater ride that takes you on a journey through time which lasts about 15 minutes. You have an audio playing during the entire experience (or text on a screen). I loved this part although I felt like I wanted to do it twice as there was so much to see and listen to via the audio and visuals I feel I missed parts. The highlights were the characters bought to life and real-life smells which bring the whole experience to life. Be sure to look out for the man on the toilet, he certainly made me smile! 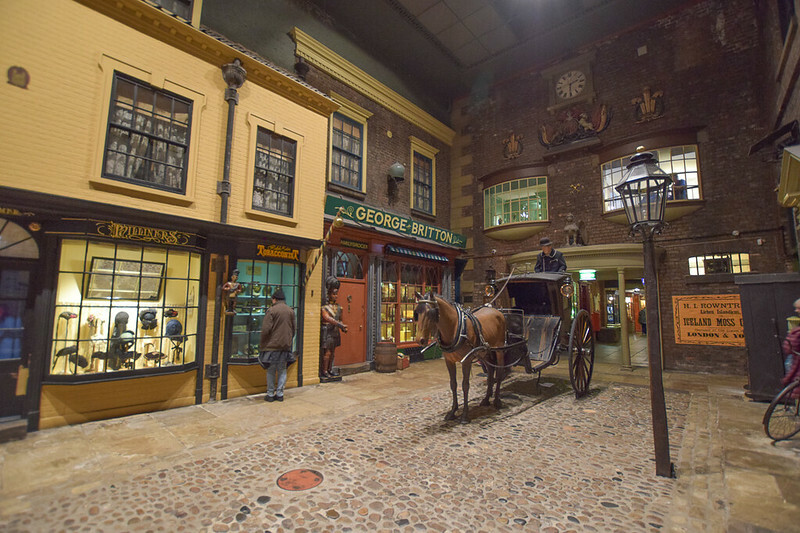 After the JORVIK experience, you can explore the interactive exhibition which includes two of the full skeleton which was found during the excavations as well as an assortment of pans, knives, tools and coins. The JORVIK Museum is a very popular attraction in York. There can be long queues, especially at weekends and rainy days so be sure to book your ticket in advance to jump in the Fast Pass queue. One for the beer lovers. Book on one of the tours to visit the brewery. 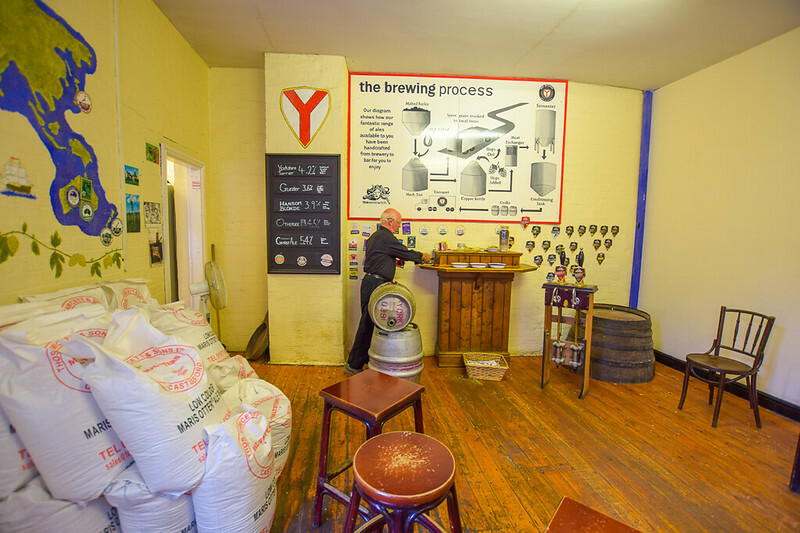 This was one of my least favourite tours in York, 25 minutes of the tour takes place in one room, where they describe nearly every single beer before you are shown around the main brewing equipment, which is the last 20 minutes. The tour lasts 45 minutes, but also includes tokens for beer. If you pay for the tour individually then you’ll be given four tokens but with the York Pass, you’ll only receive one token. The York Castle Museum is huge, in fact, it’s so big it’s actually split into two sections. Allow yourself plenty of time to explore and learn about life many years ago. The highlight is the fully created street with cobbled stones, traditional shops and even a horse and cart. This was one of my favourite parts of the museum and it’s much bigger than the one photo I’ve added above. The museum is split into two parts and you’re given a wristband so you can continue exploring the other part of the museum. 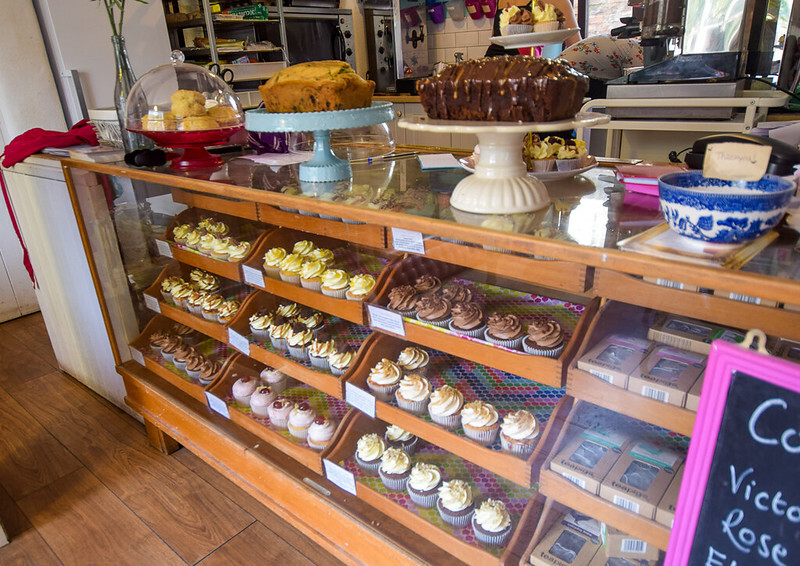 There’s so much to see, it’s great to split up your visit, maybe stopping for a coffee or cake at the cafe. Who knew that York was so big in the chocolate making business? Find out all about the York chocolate making businesses including Nestle and Terry’s chocolate. 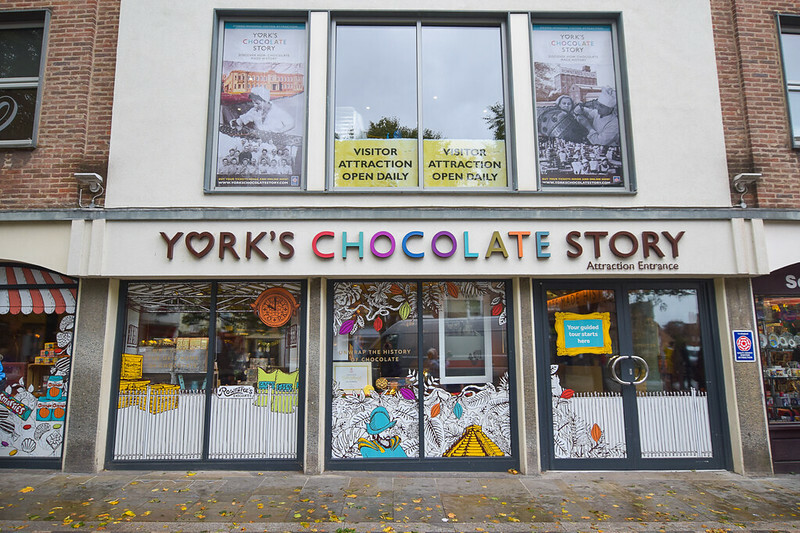 The York Chocolate tour lasts about 45 minutes, taking you through different rooms and experiences. I won’t spoil the surprise but there are a few clever and quirky parts to the tour, as well as chocolate samples too! After the tour, you then have the opportunity to make your own free chocolate lolly as well as seeing a demonstration of how the chocolate is made for the shop below. This was one of my favourite tours, it was interactive and very interesting, unlike any other tours I’ve done before. A must-see thing to do on your visit to York. If you decide to buy the York Pass then make the most of it by visiting all these attractions in York too! Remember all of these will be free with the York Pass. 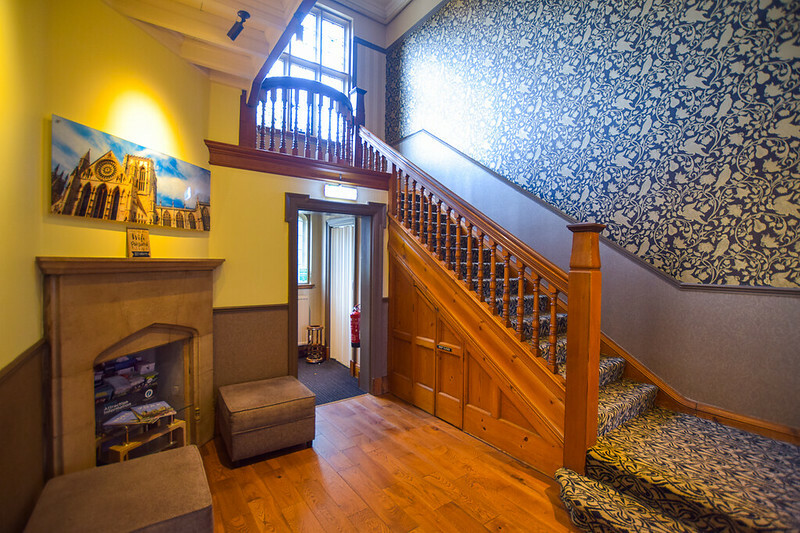 During my stay in York, I stayed at the B+B York and Astor Hostel. Both are located close to the city centre and have parking available. The B+B York is nearer York Minster and Astor Hostel which is nearer the FREE National Railway Museum. *Visit York provided me with the York Pass for my visit. However, all thoughts and opinions are my own. Great ideas, Becky! I was only there for a couple of nights so I hit a couple of your ideas. I highly recommend Evensong at the Minster. And I wish I had done the brewery tour! !